People who wanted to install solar power system in their homes deferred it due to the high installation charges as most of the equipment and materials were very expensive. But now over the years with the advancement of technology, the prices have come down drastically like we see in the digital watches right now. With the recent decline in the prices of residential solar system, many home owners have shown interest in installing the system and get rid of high energy bills. There is always apprehension in the minds of people that the Photovoltaic (PV) panels installed in the system should continue to serve you for many years. It is quite natural that you would like to count number of summers and winters for which your solar power system will last as you have invested a lot of money and time. The average warranty offered by the manufacturers is almost 25 years, but as we see there are PV panels installed which have outlived the life span and are still working and are good condition. The main two factors which are responsible for the long product life are proper maintenance and the compatible climatic conditions. This blog post mainly deals with maintenance and possible repairs which may be required to enhance the life of the product. 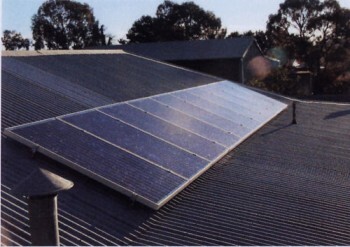 To keep you solar panels in good working condition, you need to ensure that the panel remains free from debris and any other things like limbs falling from trees. The panel should be clean and open to the sun and sky without any shade. 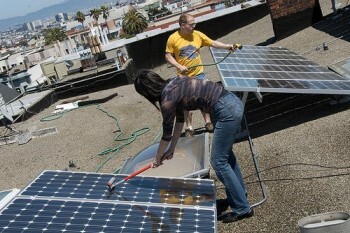 The best performance from the solar panels can be expected by exposing it to direct sunlight. Therefore it requires routine checks and other obstruction should always be removed. With wind blowing, it is natural for dust particles to accumulate on the panels which require periodic cleaning to avoid any obstruction to sunlight. Such checks will naturally enhance the life cycle and the panel should surpass its normal life span. The common wiring faults are due to corrosion, oxidation and may be even the wires are loosely connected. In some situation, the heat conditions can also decrease the efficiency. Sometimes strong winds can result in flying stones or gravels which can damage the panels. Small cracks on the glass can be repaired by using tapes, but in case of excessive damage, the entire solar panel has to be replaced. Many solar panels can work flawlessly up to 40 years and this has been possible due to proper and regular maintenance of the solar power system. But normally after 20 years these panels start to lose its capacity. It is up to you to look after your system very well after all you will be getting uninterrupted power for 20, 30 years or even more. This is also important since you have invested a good amount of money, your proper care will give you dividends and you will be able to recover your investment quickly.